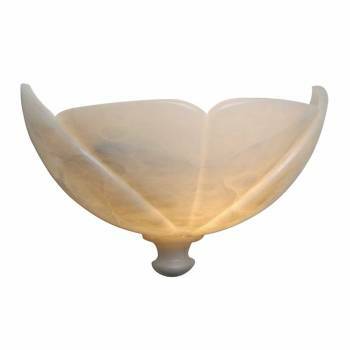 Alabaster Wall Lamp 9 H x 12 3/4 W x 6 1/2 proj. Alabaster Wall Lamp. This Alabaster sconce will embellish any room. Its soft glow is unique. Measures 9 in. H x 12 3/4 in. W x 6 1/2 in. proj. 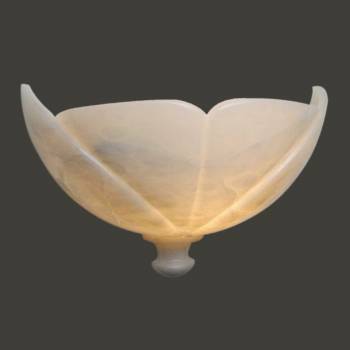 Alabaster sconce operates with On/Off Switch, and requires one 60 Watt candelabra bulb (not included).